The G-MASTER GB2788HS-B1 Red Eagle to give you its official name is a traditional gaming monitor, let’s face it, it wouldn’t be branded as such if it were destined to sit in offices. 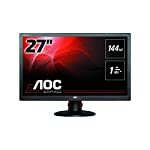 This 27″ screen has everything the modern gamer is looking for from their monitor, a fantastic 144hz refresh rate for super smooth images and of course FreeSync, the anti tearing technology that matches the monitor to your video card’s frame rate. 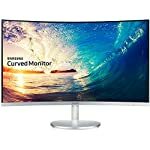 It’s an HD screen, which personally I think looks just great at 27″ but some may be looking to experiment with higher resolutions, QHD or even 4K. It that’s the case you’ll need to look elsewhere. The GB2788HS-B1 has an imposing form, the bezel seems to stand out to me, whilst it isn’t exactly huge I can’t help noticing it’s bold appearence. Some of the competitors seems to have more elegant designs but perhaps it was designed that way to fit the gaming monitor image. The stand comes with height adjustment, along with tilt and swivel. You get a choice of ports round the back: VGA (@60Hz), HDMI (@120Hz), DVI-D and DisplayPort (@144Hz). The monitor also comes with “integrated high quality speakers” and headphone socket. The Iiyama GB2788HS-B1 comes with all the gamer friendly goodies that you could possibly want on your wishlist. We have a fantastic 144hz refresh rate for super smooth images. Some argue that fast refresh rates aren’t that useful but personally I found it made a real difference. If your graphics can can keep up, and it should if you have a modern FreeSync compatible AMD card, then you should be able to hit 144 frames per second. When the frame rate dips, FreeSync has got your back and will ensure the monitor matches the output of your GPU. Iiyama also attempt to reduce blurring with overdrive support, and don’t worry, if this isn’t working for you it can be switched off. You’ll need dual link DVI or DisplayPort to get the fastest frame rates. The TN panel provides the much desired 1ms response time but do remember the limitations of this technology. The pictures will look great when you sit directly in front of the screen but colour accuracy deteriorates when viewed from an angle. We give the Iiyama GB2788HS-B1 a 4.5 out of 5 rating. Want to know what existing owners of the monitor think? You can read real user reviews here. 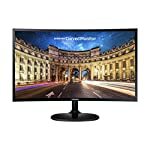 Should I buy the Iiyama GB2788HS-B1? 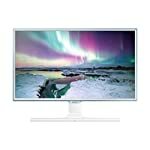 The Iiyama GB2788HS-B1 is designed for gamers so if you want a true gaming monitor this is an option. You get 27", 144hz and FreeSync screen with HD resolution. If you are having some doubts about this purchase then why not read some real owner reviews and see what other buyers think.